Oh dear! 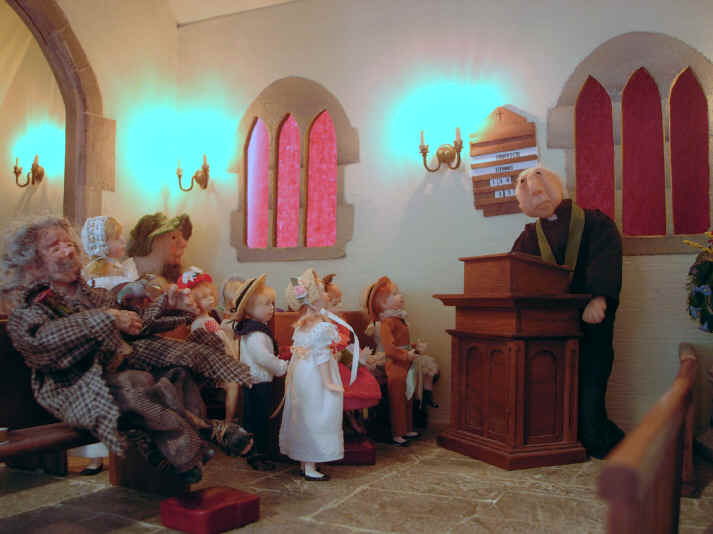 Poor Reverend Gyles Ponsenby-Smyth! He has spent a lot of time preparing his sermon this Sunday. However the children are being particularly naughty on this day as you can see. Amelia is reading her book whilst Ben is chatting to Emily in the corner. Only Megan is taking ANY notice of the vicar at all. It is even Megan who realises that the vicar has fogotten to wear his stole! The vicar is so pleased that Megan noticed he had forgotten his stole. So he rushed to the Vicar's Vestry to find the right one to wear. As you can see it is green as this Sunday is in the season of Trinitytide. The children are very interested to hear about his stole as he explains the different colours that are used for different seasons in the church year. Look how interested they NOW are! 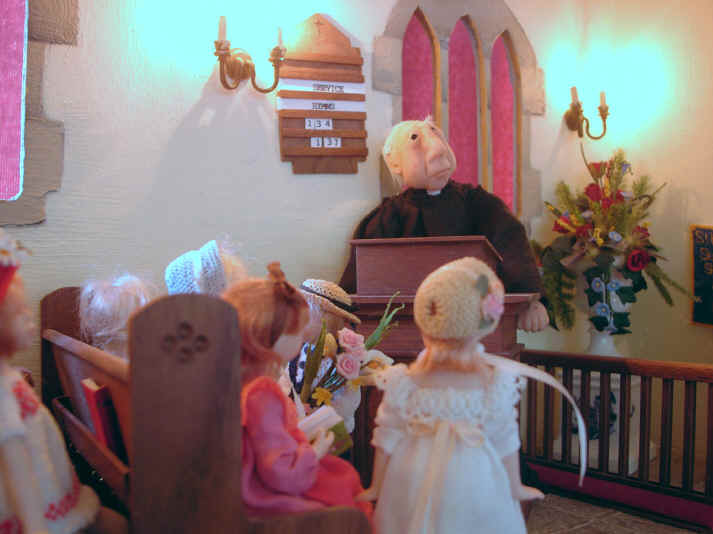 The vicar knows how to make his sermons more interesting when he notices the children getting bored. 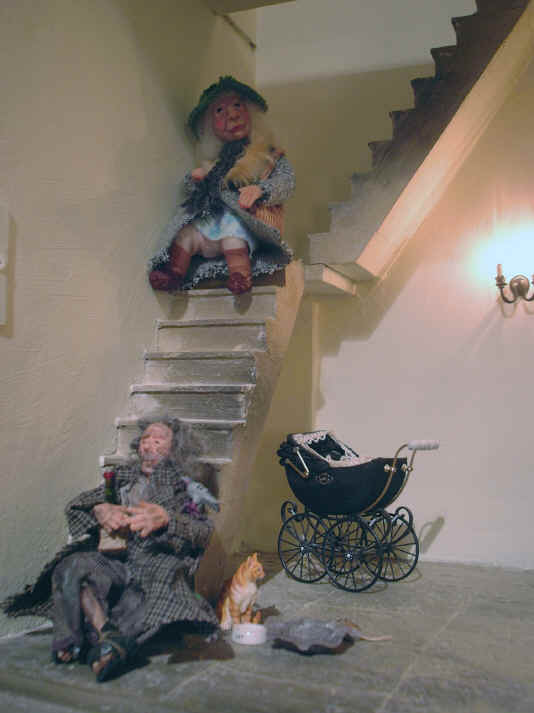 Rita and Homer have been sitting quietly sitting on the bell tower stairs as the vicar has been preaching. 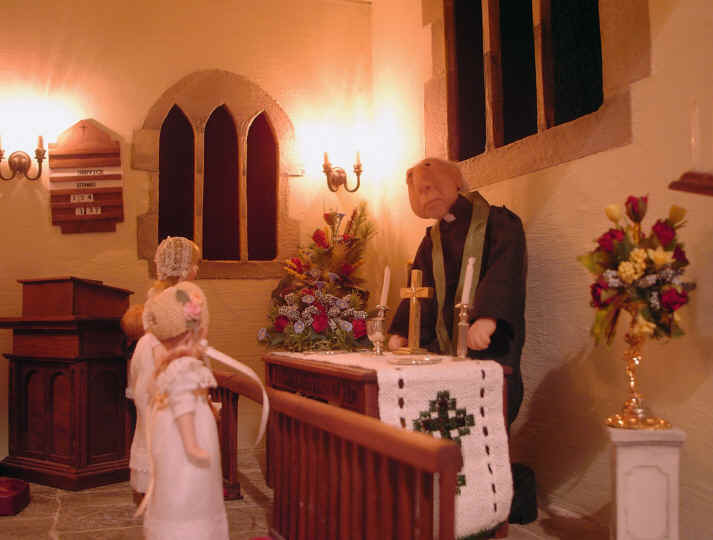 The vicar asked Alice and Ben to bring both the bread and wine to the altar during the offertory hymn. The hymn that is used for the collection is always called the "offertory hymn" as the people offer up their gifts to God by giving of their money in the plates. Megan and Tom took the collection round to the other children, Rita and Homer during the hymn. 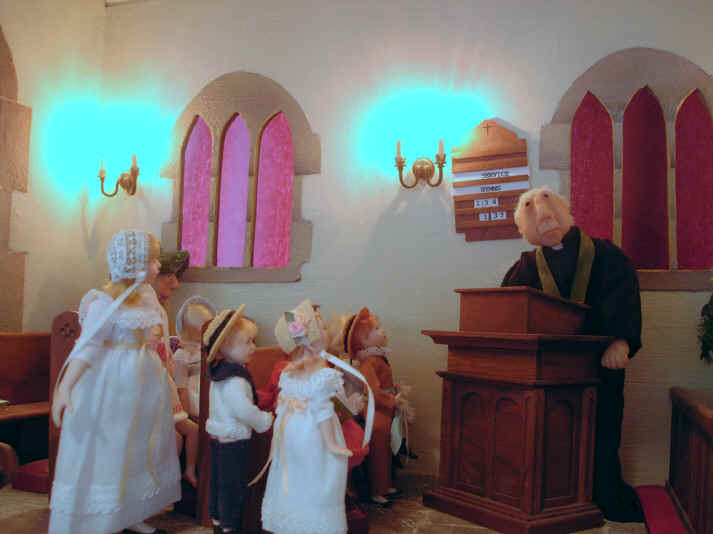 The vicar is pleased with the children, Ben, Alice, Tom and Megan. 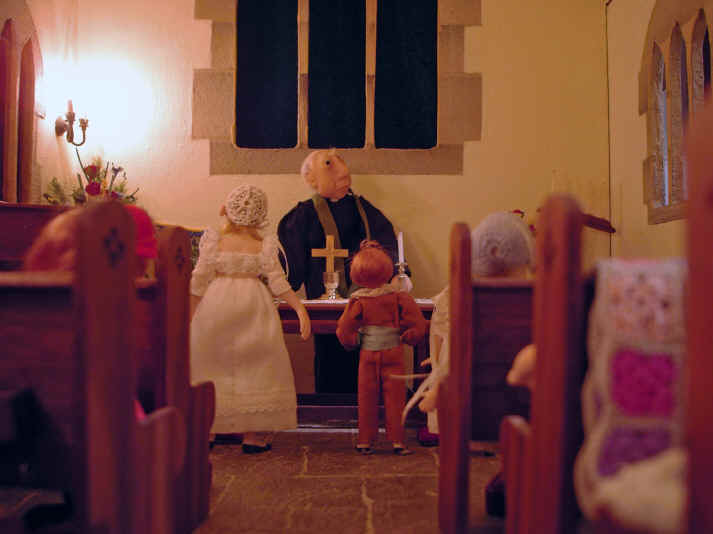 The children wait quietly as the vicar blesses the money on the collection plates after he received both the bread and wine. The stole is simply a piece of 4 mm of green silk ribbon. Many thanks to Rachel Fritz for making our vicar and Rita, our "lady of the road"